Lease means a contract by which one party conveys land, property, services, etc to another party for a specified time usually in return for a periodic payment. In this lease, a specific period is mentioned and the tenant should return that property to the landlord when the specific time is over. Sometime, the lease may be extended by the wish of landlord or tenant. The landlord or tenant, whoever, to extend the lease might write a letter and tell the terms and conditions regarding the rent and extension time. If the landlord wants to extend the lease, he will give the extended time period, the rise or same rent and may give some extra conditions such as not allowance of pets, etc. If the tenant wish to extend the lease period, he will then write the letter to the landlord by polite and good way. He will request the landlord to extend the lease so that only the landlord will accept the extension. Otherwise, the extension letter will be rejected by the landlord if he is not interested to continue the agreement. The extension letter must be written atleast 30 days before the expiry date of lease. But writing the lease extension letter before 60 days is very much better, why because the changes sometimes were made in the letter based on the wishes of both tenant and landlord. Learn below the sample letter format for the same. Your lease agreement for the house property (Reference No: __________) will expire in 3 months. I wish to offer now a chance to you to extend the time period for further 2 years. In this extension time, you have to pay extra $10 per month. It is a good chance to you to avail this opportunity. If you are not comfortable with new rent, you can contact me via phone number __________ or though email ____________. We can discuss and come to a concluded rent. I believe that you will accept this extension agreement with new rent. Awaiting for your acceptance or whatever else. Printed Name of the Landlord. Note to visitors: Hope this lease extension letter format will be useful for you! If you have any query, please let us know through the comment box provided below. Want to know how to write an attractive invitation letter professionally? You will learn here all concepts about the invitation letter. 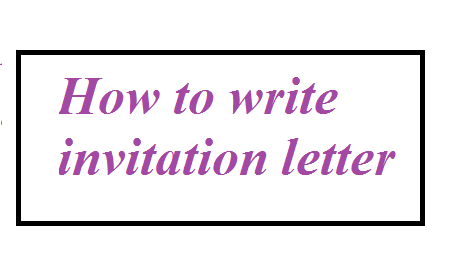 This article covers what is invitation letter, why it is needed, what should be considered while writing the invitation letter, what you should do and don'ts and sample letter writings, etc. Invitation letter is the letter through which people are invited to a particular event or function. It is usually written for celebratory purposes. If you are the one who want to make your functions a grant, you should invite more people to participate. Why invitation letter is important? In this busy world, you will find less time to distribute your invitation in person. People you are planning to invite may have spread over different regions / locations so that they are unreachable easily. Here the invitation letter plays major role. You should write meaningful, easy to understand invitation letter and send it through postal or any other form e-format. 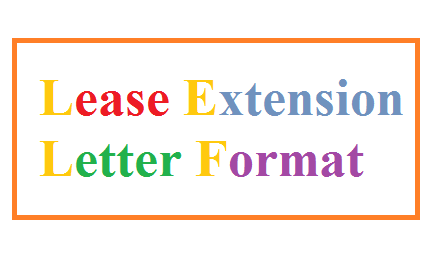 In both letter format, you should use present tense and future tense to make the letter complete. You should use impressive words in your writings. Why you need to use these 2 tenses. Let me clear here. By using the present tense, you are giving the prefect invite ti the person (invitee) who receives invitation. The use future tense will make the invitee to attend the event. In the business type of letter, you should make sure to use formal tone because you are generally writing this letter to your business associates or clients. For friendly type of invitation, you may use informal tone as you are going to write it for your close friends and relatives. The Do's and Don'ts in your invitation letter? 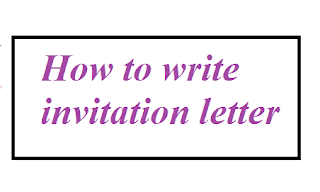 You can compose a right invitation letter after confirming the occasion for which you are planning to write a letter. If you specifically need any dress code for your function, you may indicate in the invitation letter. Don't forget to include the colour combination for your dress code. Proof reading is essential to correct the wrong words or any kind of typo error in your invitation. The small difference in word can make big different meanings. So be careful in wording and make your writings clear after reading it yourself or others to read it 2 to 3 times. Okay! That is enough we think! Want a sample invitation letter format? We will draft it in our next article and so you are requested to keep us visiting! Thank you! Internet Banking is one of the most important facilities offered by all banks in India. If you have not activated it so far, you are lacking something in this fast world. In this post, we will explain about how to go for internet banking in PNB, Punjab National Bank. Read on! In PNB, you can avail the internet banking just registering online. You don't need to go to bank in person and wasting your valuable time. The internet banking facility is available for those who have self operated saving account or current account. That means joint account holders can't avail this facility online. However, they can visit their banking branch and avail the internet banking. This is because, to avoid the facility misused without the knowledge / agreement of joint account holders. For PNB Internet Banking registration, please keep the following particulars in hand while applying online. 3) Your Registered Mobile (Registered with the bank) for receiving One Time Password (OTP) and other important passwords. After registration, you can activate your internet banking in PNB instantly. However, the facility is fully available withing 24 to 48 hours in some cases. You can contact the customer care for any more info regarding the status of your internet banking. 2. Click on New User button there. Now you will see three options, in the registration type. Option 3 -> Register for both Internet & Mobile Banking. So it is better to go for the option 3 as there is no need to again register for mobile banking. 5. Now you will be asked to enter your Debit Card Number and ATM PIN. Supply these details in the appropriate boxes and hit on Continue button. 6. Now you have select your desired user name and password for internet banking. You should type password twice for conformation. Make sure to use easy to remember password but difficult password that can't guessed by your relatives or any other persons. You should input login password as well as transaction password. Login password is for entering to your account and transaction password is for sending money to other persons or any online purchase you make. 7. Now select the terms and conditions box ticked and hit on Complete Registration button if you are sure to go after verifying yourself. 8. Now you see the finishing screen with your user ID. Now go to login page and enter your login ID and password to avail internet banking. That's all! You have successfully activated your Internet Banking in PNB . 1. I forgot my ATM PIN SBI. What do I do ? One of the school going students in our city approached us and asked how to write a leave letter to her school Principal for not attending the exam due to illness. We advised her to refer some model letters in internet and write clearly what you are going to tell. As the leave has been taken without prior permission due to unexpected illness and it was already taken, we told her to use past tense in his leave letter writing. She searched in internet and told us no useful information got from the internet. Then we have decided to draft a beautiful letter in our website itself, that is www.howtoletter.com . 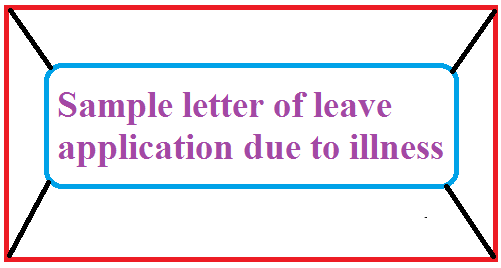 You may find this sample format of leave application below and write your own application to your school Principal or College Principal. Myself N.Maithili studying 8th standard. I was unable to attend this month exams due to sudden illness. I was severely suffering from stomach pain . Doctor advised me to take complete rest for 4 days and hence not able to come to school for writing my exams from 30th November 2017 to 01st, 02nd and 04th December 2017. Please excuse me and consider my absence as leave. I have attached the medical certificate with this letter for your ready reference. Thanking you! P.S: Have you found this letter format useful for writing your leave letter due to illness or urgent work at home or any other reason. You need to modify if your reason is different from the one given here. If you have used any other reason and written your letter, you may let us know it through your comment below. Thank you!